Why Ellen Hahm, C’12, WG’19, G’19, and Amy Kim, WG’19, G’19, chose to join the inaugural class for the Lauder Korean language immersion, part of the Asia and Southeast Asia Program. Both Ellen Hahm, C’12, WG’19, G’19, and Amy Kim, WG’19, G’19, grew up in expat American communities and attended international schools in South Korea, but until they came to Wharton and Lauder, neither had experienced immersive Korean language academics. Ellen and Amy are the first two students in Lauder’s Korean program, the newest of Lauder’s ten languages and part of the East and Southeast Asia Program of Concentration, combining arts and sciences coursework with advanced language study and cultural immersion experiences. Lauder students earn a Master’s in International Studies along with their Wharton MBA. Ellen, a Penn grad who most recently worked in global marketing for Clinique, and Amy, a veteran of the U.S. Navy, jumped to be the first students in the program. The program, which kicked off with a five-week in-country immersion in May, has already opened their eyes. 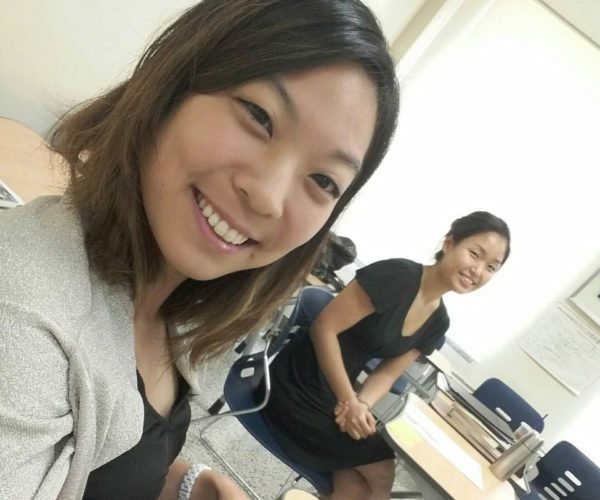 Ellen and Amy took classes at the Korean Language Institute of Yonsei University and heard lectures on the Korean economy, history, and culture, including critical issues like the aging of the population and how Korean geopolitics interact with the rest of East Asia. Weekly corporate visits included CJO Shopping, Bank of Korea, SBS Contents Hub, and Jeju Air. She cited the “economic miracle” South Korea experienced as one of the Asian tigers, which she had been aware of but hadn’t fully understood. “Through our program we learned of the political underpinnings as well as the social costs associated with such rapid economic growth,” she said. Ellen and Amy wrote about their experience on Lauder’s blog. Read their post, 5 Weeks in Seoul.